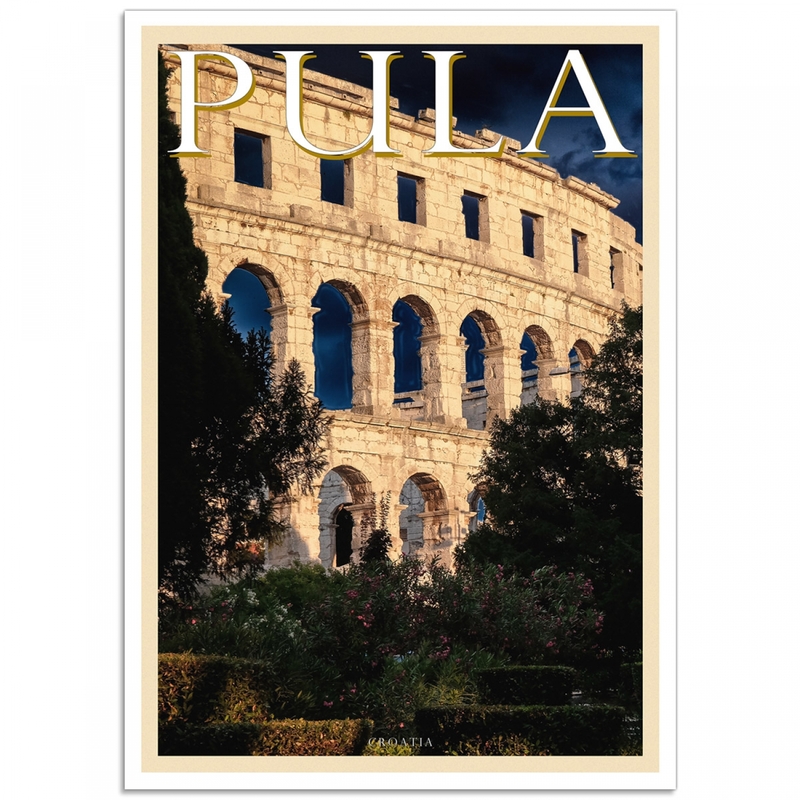 La Rena de Pola, or the Pula Arena is the Roman Amphitheatre located in Pula. 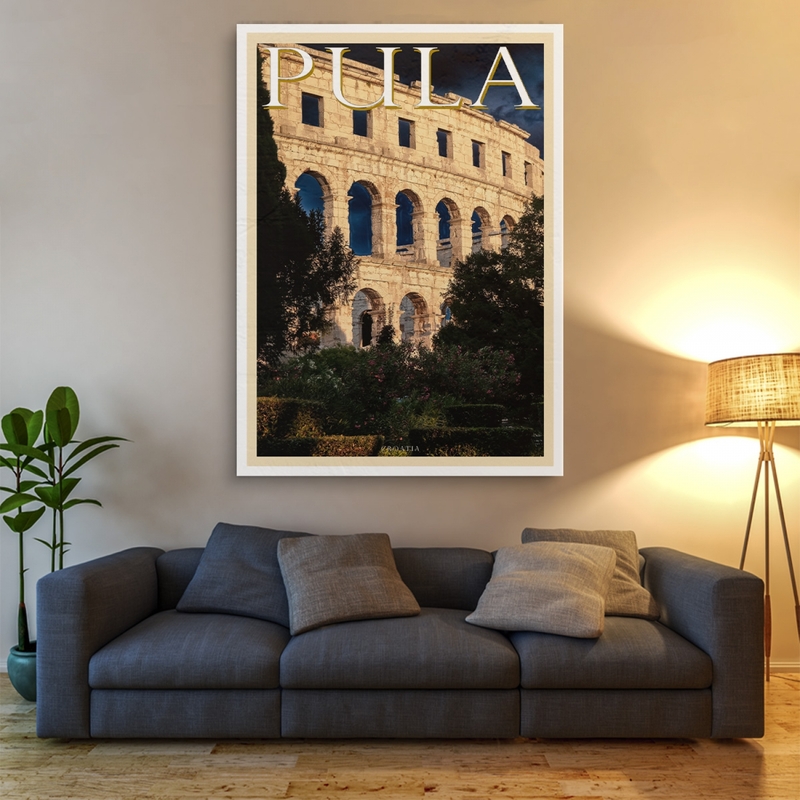 This Roman Amphitheatre located in Pula, on the southern tip of the Istria in Croatia. It’s the only remaining Roman amphitheatre to have four side towers and with all three Roman architectural orders entirely preserved. When compared to the legendary Coliseum in Rome which has had two-thirds of its original structure destroyed over time. The Arena was constructed in 27 BC – 68 AD and is among the six largest surviving Roman arenas in the World, an extraordinary example among the 200 surviving roman amphitheatres. 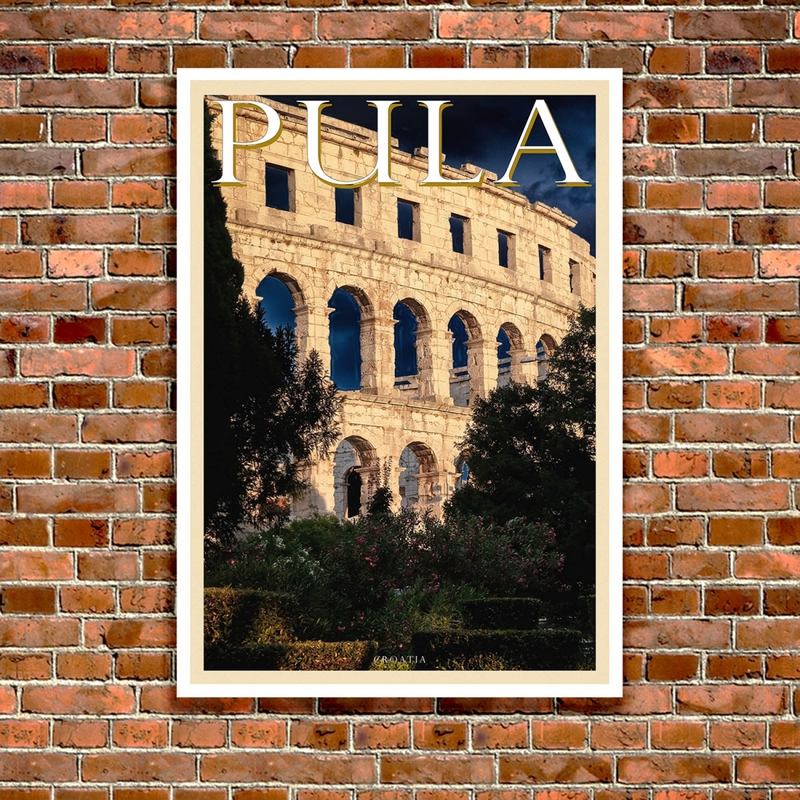 This Poster is dedicated to Maria who was Born in Rovigno, then Italy, in 1926 and lived in Pula near La Rena de Pola. 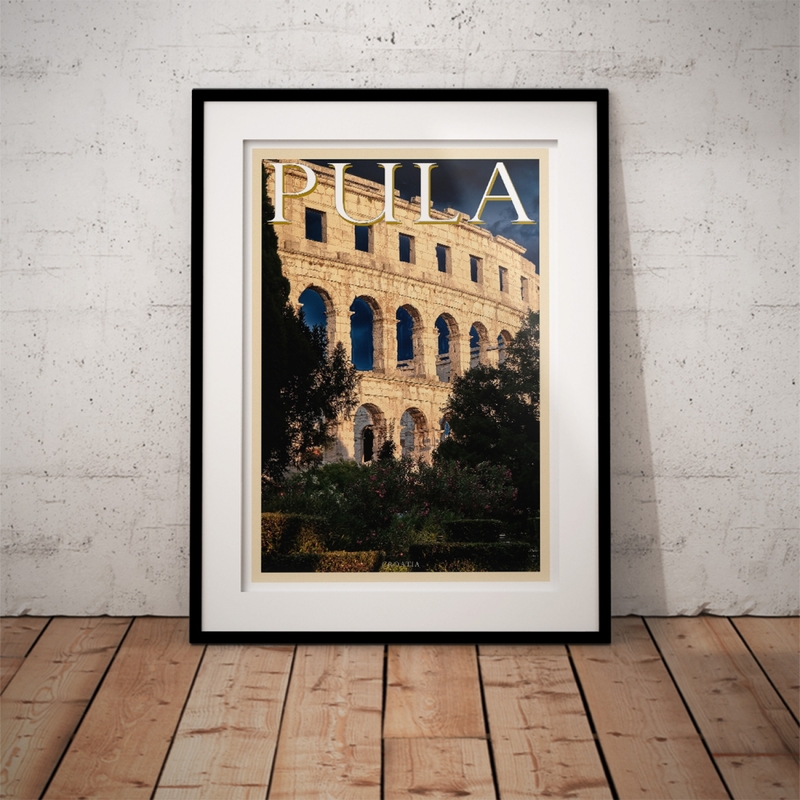 The "La Rena de Pola" Poster is a reproduction of an original photograph. 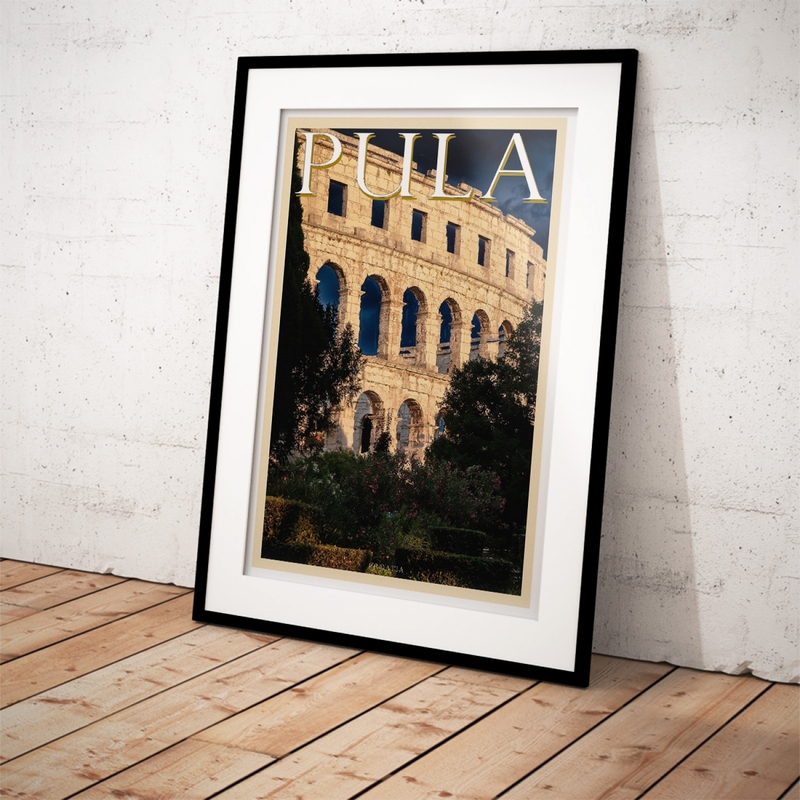 Basilica of St. Euphemia - Istrian Travel PosterSt George patron saint of Rovigno [Rovinj] and the f..